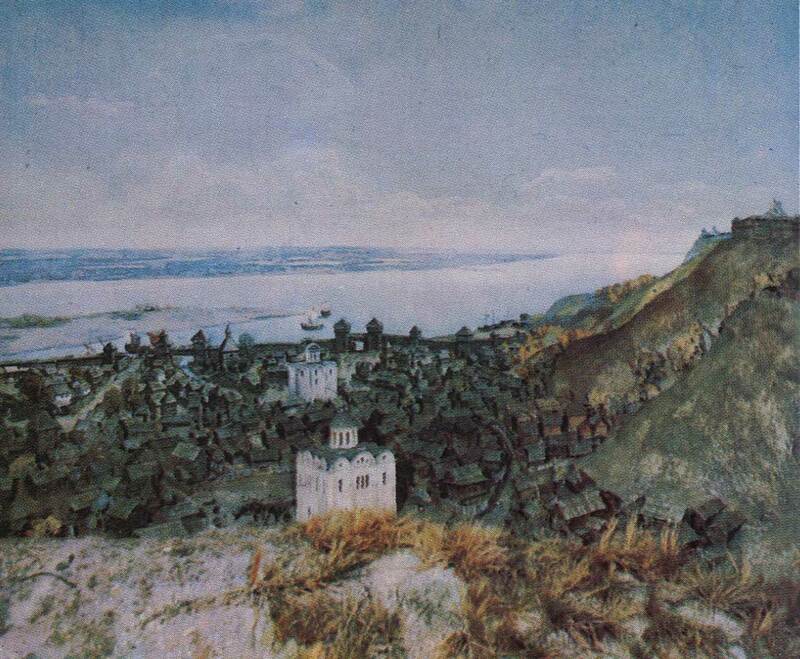 Culture | Diorama “Kiev X-XIII centuries.”. Fragment “hem”. In the foreground – the Church of the Virgin Pirogoscha. XII century. Reconstruction YS Aseeva. Museum of the City of Kiev. Park Pavilion “Askold’s Grave”. In 1810, architect AI Melensky erected here a stone church rotunda. In 1935, the architect PG Yurchenko colonnade wraps. Now here is an exhibition “History of the countryside” Askold’s Grave “.Starokievskaya Mountain. Here was the Upper Town – the historical part of the beginning of the formation of which dates back to the settlement of a Kia.